One bite of these sweet & sour gummies will have you seeing stars... and suns, moons and clouds. 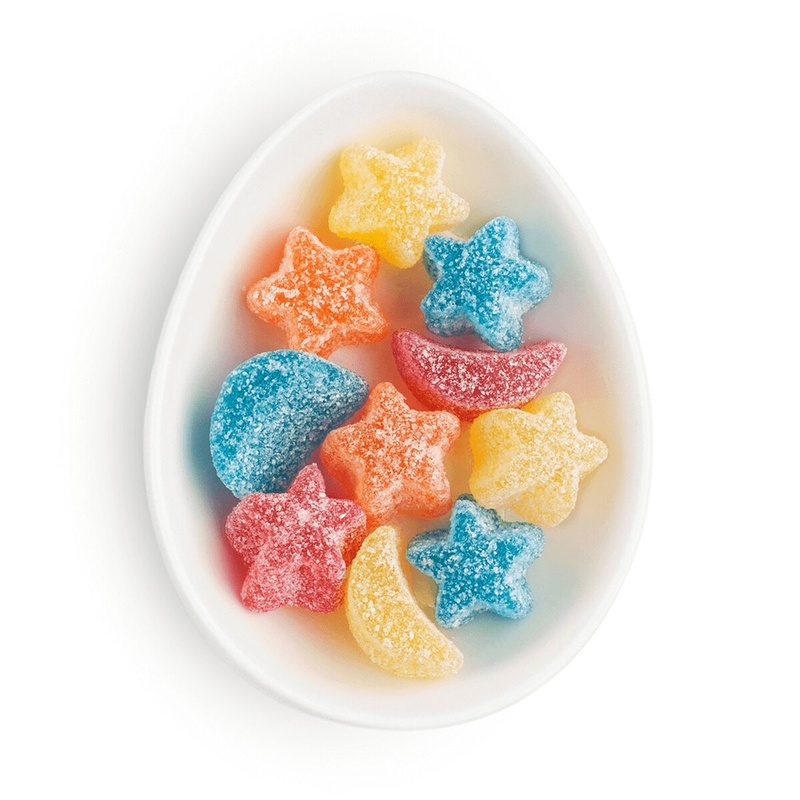 Made with real fruit juice, these wonderful little sours are sanded with sweet and tart sugar crystals, for a taste that's totally out of this world. Not too sour, not too sweet... just perfect. Made with pectin, these gummies are gelatin-free, perfect for vegans and vegetarians. Made in the USA. 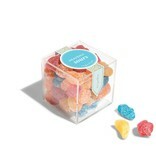 Small Cube is approximately 3-4oz.